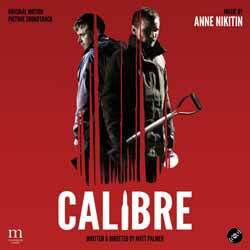 Anne Nikitin’s score for Calibre has its moments, but is mostly comprised of atmospheric background cues. There's the odd theme scattered around, but nothing to really grab your attention. It contains 16 tracks (31 min, 46 sec). Overall, a haunting atmospheric score, but one that's incredibly hard to listen to on its own merits - certainly one best left heard in the movie.